Moving is just one of those things in life that takes a toll on you emotionally and physically. Change can cause anxiety. Packing and moving boxes and furniture is exhausting. Keep in mind that you have to maintain your family and work life while managing these emotions. Before you start to freak out, stop and breathe. You got this! All you need is a solid plan to help you manage your emotions and deal with the stress of moving like a pro! Making a to-do list will help you focus on the things that need get done and prevent that, “Oh crap, what am I forgetting,” feeling. When you create your to-do list, identify your moving date first, then identify the tasks that need to be done by working backward from your moving date. Once you have your to-do list created, assign a goal date to complete each task. This will prevent feeling over-whelmed by thinking you have to accomplish everything all at once. Cleaning out your clutter should be one of the first things on your to-do list. You don’t use it, you don’t need it, and you don’t want to move it. So get rid of the crap you don’t use anymore and simplify your life. Start by making two piles, one pile for things you can sell, and one pile for things you can donate. Make some extra money and sell your stuff at a yard sale or a second-hand shop. Take items you want to donate a local charity. Check out Where to Donate Your Stuff 101 for a list of charities that take donations. You have just liberated yourself of unwanted stuff, made extra cash and helped local charities out! The change in day to day routine that comes with moving to a new home can cause a lot of anxiety, especially among children. Calm the uncertainty and nerves by taking the family to visit your new home and drive through the new neighborhood. Make sure that you find the routes to school, work, the nearest parks and identify the really awesome things that come with the new neighborhood. Our Homes for Heroes specialists can help you with this as you search for your new home. Sign up at HomesforHeroes.com to speak with one of our specialists without any obligation. This one simple step can go a long way in reducing the negative emotions and uncertainty in your household. Your family and friends are there for you, so use them. Again with this, think beyond just asking for help in moving your belongings. Ask a family member to watch your children on your moving date so your moving goes smoother. 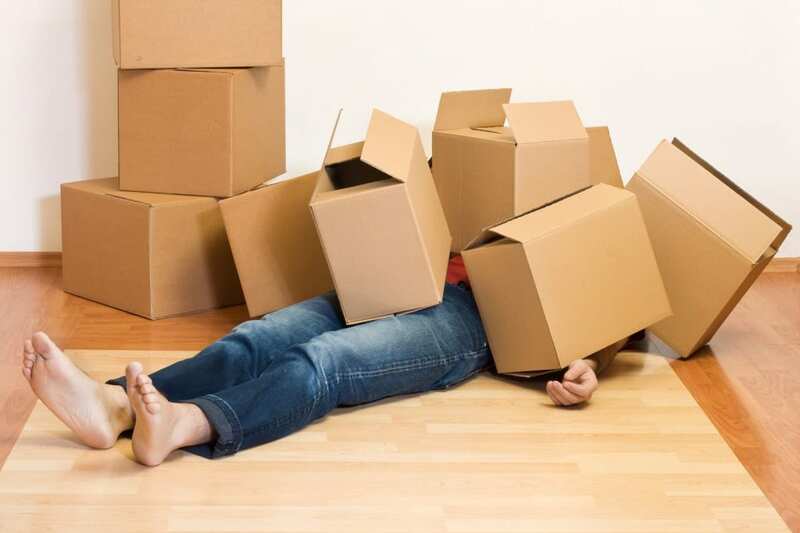 Save yourself hotel costs and ask a friend to crash at their house for a night if there is a gap between your moving out date and moving in date. Let the people in your life be there for you. If you try to do it all yourself, it will slow you down and wear you out faster, and potentially cost you much more money. Keep in mind when recruiting some assistance, free pizza and beverages go a long way. Moving into your new home should be exciting and fun. Plan, prepare and take care of yourself so you can deal with the challenges and any potential stress you may experience when moving into your new home. Don’t forget to use a Homes for Heroes specialist to help you along the way, and receive significant savings when you buy, sell or refinance a home. Firefighters, law enforcement, EMS, military (active, reserve and veterans), healthcare workers and teachers can sign up below or at HomesforHeroes.com to speak with one of our real estate or lending specialists without any obligation.